Here is the trailer from the upcoming film “FRONTERA”. The film is directed by Michael Berry, starring Ed Harris, Michael Pena, Eva Longoria, Amy Madigan and Aden Young. Magnolia Pictures will release FRONTERA on iTunes/OnDemand July 31, 2014 and in theaters September 5, 2014. 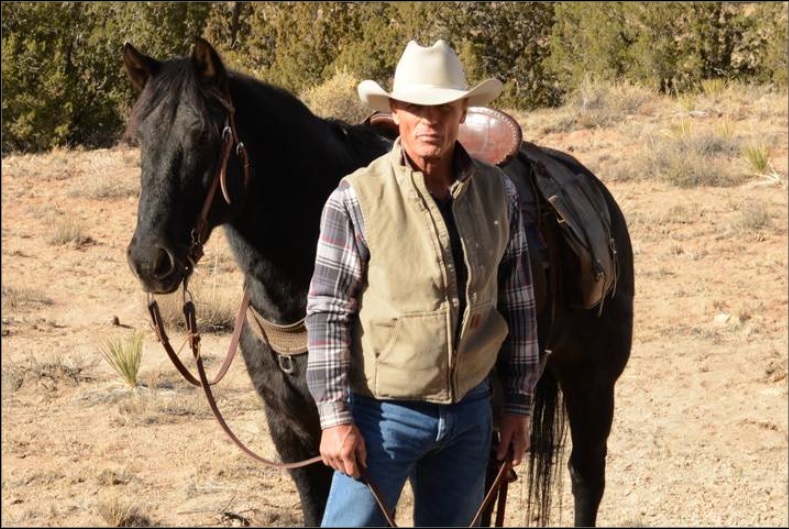 Set in the tumultuous Border area of Arizona and Mexico, Frontera follows the events that take place after a former Arizona Sheriff’s wife (Amy Madigan) is killed while riding on their Ranch property. It would appear a Mexican man (Michael Pena) crossing in to the US illegally is at fault. As former Sheriff (Ed Harris) and current Sheriff (Aden Young) search for answers, lives are changed forever and the facts as to who is really at fault in this tragedy are nearly as tenuous and complex as the issues and tensions between the people who live in this region on either side of the line. Tags: Aden Young, Amy Madigan, Ed Harris, Eva Longoria, Frontera, Michael Berry, Michael Peña. The Wagner/Cuban Company’s Magnolia Pictures announced today that they have acquired US and Canadian rights to FRONTERA, starring Ed Harris (Snowpiercer, Pain & Gain, Phantom, Pollock, Apollo 13), Eva Longoria (“Desperate Housewives,” The Heartbreak Kid, The Sentinel), Michael Peña (American Hustle, End of Watch, The Lincoln Lawyer), Aden Young (Killer Elite) and Amy Madigan (Gone Baby Gone, Field of Dreams). The film was directed by Michael Berry, from a script he co-wrote with Luis Moulinet III, and produced by Ocean Blue Entertainment and executive producer Eric Austin Williams. Tags: Aden Young, Amy Madigan, Ed Harris, Eva Longoria, Michael Berry, Michael Peña. Here is the new poster from Lionsgate’s Film I, FRANKENSTEIN. The film is directed by Stuart Beattie, starring Aaron Eckhart, Bill Nighy, Yvonne Strahovski, Miranda Otto, Jai Courtney, Socratis Otto, Mahesh Jadu, Caitlin Stasey and Aden Young as Victor Frankenstein. Here is the new official trailer for Lionsgate’s Film I, FRANKENSTEIN. The film is directed by Stuart Beattie , starring Aaron Eckhart, Bill Nighy, Yvonne Strahovski, Miranda Otto, Jai Courtney, Socratis Otto, Mahesh Jadu, Caitlin Stasey and Aden Young as Victor Frankenstein. Set in a dystopic present where vigilant gargoyles and ferocious demons rage in a battle for ultimate power, Victor Frankenstein’s creation Adam (Aaron Eckhart) finds himself caught in the middle as both sides race to discover the secret to his immortality. 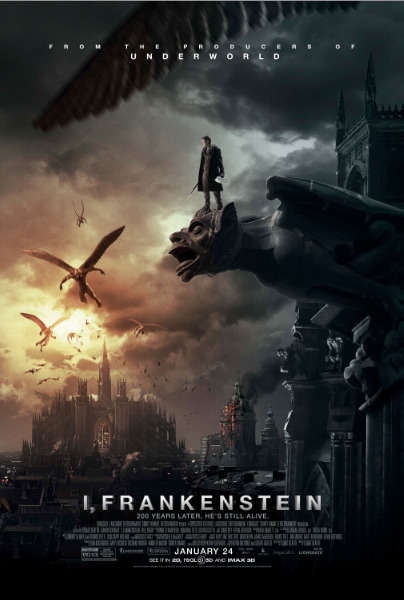 From the creators of the hit supernatural saga, UNDERWORLD, comes the action thriller I, FRANKENSTEIN.